Simple ingredients for a simple solution. 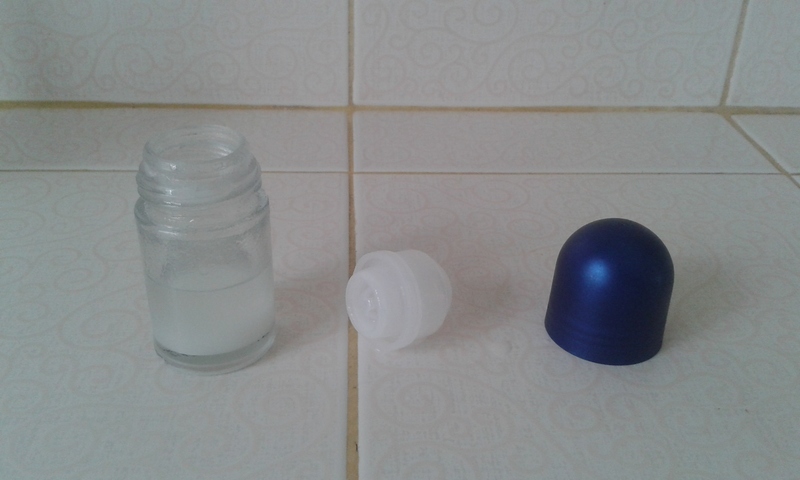 Before leaving for Thailand, my excellent wife found a DIY Deodorant recipe from WellnessMama.com. 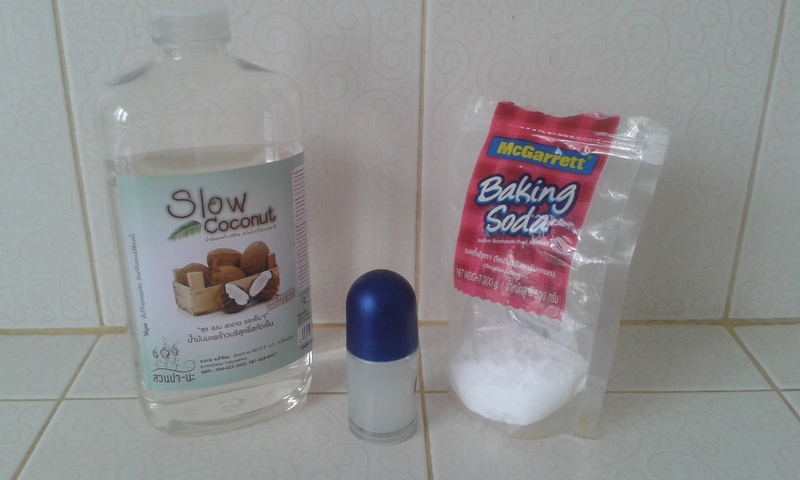 The main ingredients were coconut oil, baking soda, arrow root/corn starch and essential oil for aroma. I had my hesitancy to exchange my High Endurance Old Spice. But the sad fact is that deodorants in general just don’t work that well after you’ve used them for a while. I found that I would have to change brands every other stick just so that I only had BO at the end of the day. Also, cleaning the residue off the armpits was quite a feet and even after three passes, there was often still residual odor. Is that TMI? So I figured, “What do I have to lose?” I gave it a try and the first few days actually were a little worse than with the sticks. But around day 3 or 4, the odor levels dramatically dropped. And cleaning wasn’t a problem either because there was no residue since the recipe didn’t use any chemicals or unnatural oils. I was so excited that I’d found a cost-effective solution to the deodorant problem, but sadly, this was not to last. As a friend had pointed out, coconut oil will almost never exist in a solid state in Thailand due to the near-constant summer temperatures. Upon arriving in Thailand, I noticed that almost all the deodorants here are roll-ons, an archaic form deodorant in the States. I think I’ve only ever had one roll-on before coming here. I’m not sure why we don’t use them anymore. They work really well and use less plastic in the packaging. I was nearing the end of my first roll-on that I’d been given by a friend when an idea occurred to me. Maybe I could just make my own in a liquid state. We already had the coconut oil and baking soda. I figured that the arrow root, which worked as a thickening agent may have little impact as a deodorant agent. So I simply mixed up the oil and added a pinch of baking soda, assuming it served as a pH balancer. The effects were the same as with solid state: a few days of poor results followed by good deodorizing and clean pits after my shower! I realize that everyone sings the praises of coconut oil and I suppose this makes me no different, but the stuff just works like magic. I wouldn’t be surprised if it holds the cure to cancer AND the common cold. This and future DIY projects will be found in our new DIY section. Expect to find farming and tropical-living solutions that we discover during our adventures in Thailand. Also, if you like what you’re finding on our blog and want to support our work in Thailand through the Charis Project and pursuit in sharing the Good Life on the interwebs, feel free to check our our donation page. Thanks for reading and feel free to share it with your friends.